Let CJFCU help make buying your next Used car easier! CJFCU has partnered with Enterprise Car Sales. 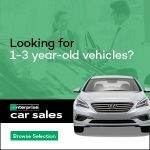 Enterprise Car Sales offers no-haggle pricing on more than 7,000 used cars which makes it easier to shop online or at one of their car lots. You will be pleased with the friendly sales approach that puts your needs first. 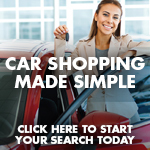 Finding Your Next New Vehicle just got Easier! CJFCU has partnered with GrooveCar. With GrooveCar we help put our members in the driver seat! You receive affordable coverage that is competitively priced. GAP can be purchased at any time, not just when you first finance your vehicle with the credit union. If you feel you can benefit from the GAP Advantage, contact the credit union to speak with a Loan Representative. If you are interested in GAP Advantage, or for more information, please contact the credit union.